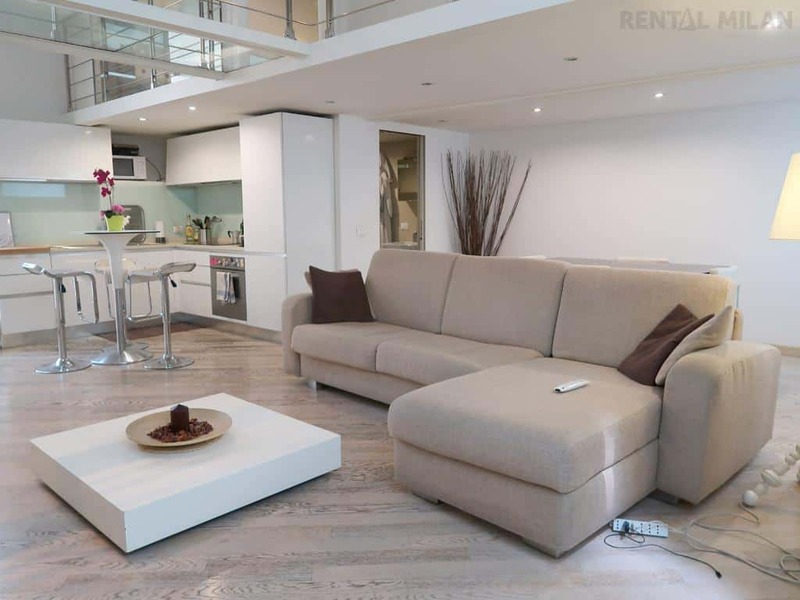 You can find both long term or short term apartment rentals in Milan. You’ll want to know some of the basics such as what kind of rental contracts are available, what is included in the agreement, find houses that are furnished or unfurnished and how much renting an apartment in Milan will cost. Finding a place to rent abroad can be a daunting challenge, but the team at Rental Milan have been kind enough to share their tips and insights on renting apartments in Milan to make things a bit easier. Congratulations! You have just gotten your dream job or been accepted to one of Milan’s top design schools! You will be working and studying in one of Europe’s most vibrant and fashionable cities. While looking for housing suitable for professional, or to rent an apartment in Milan as a student, you will want to find something in a safe neighborhood and conveniently located with access to public transportation, shopping and entertainment. Can foreigners rent an apartment in Italy? Yes, but you must have the correct documentation. In Italy, rental contracts with a duration of longer than thirty days, must be declared and registered with the Minister of Finance (US equivalent of the IRS). Both the landlord and tenant must register a copy of the contract with an ID and an Italian “codice fiscale” (fiscal/social security code). Non-EU citizens need a “Permesso di soggiorno” (stay permit) which you get by registering with the local police authority. The contract registration fees are split 50/50 between landlord and tenant. How much does an apartment cost in Milan? An unfurnished, centrally located one-bedroom apartment (45 – 65 m2) in Milan can run anywhere from €850 to €1400 euro per month – just for the rent. By moving further away from the center, prices drop. Factors that impact the price are those such as: building age and facilities, vicinity to the center, public transportation, school district, supermarkets and other conveniences. What are the rental contract conditions? Many rental agreements are “4 + 4”, meaning 4-year contracts with the option to renew another 4 years. There are also “3 + 2”, 3-year contracts with the option to renew another 2 years. Before keys are handed over you must pay a deposit in advance which is usually the equivalent of two or three-months’ rent. Living expenses like gas, electricity, internet, building maintenance expenses, registration fees, and TARSU (garbage tax) are rarely included in a rental contract. Any damage or repairs are usually the tenant’s responsibility. It is always smart to clarify that before renting. If you use a real estate agency or an online agency, there are usually additional fees or commissions to pay as well. Before signing any contracts, ask what other costs are involved. Can I find a furnished apartment in Milan with all expenses included? When you are coming for a short term or unknown period, not having to deal with the hassle of decorating, buying new appliances and setting up utility contracts is a real relief. Ottavia and her team at Rental Milan carefully choose apartments that have everything set up and ready. All the bills: electricity, gas (cooking/heating/hot water), unlimited WiFi Internet, condo expenses, a monthly cleaning service, and a “Personal Assistance” service during your stay is all included. The personal assistance service is like having a private concierge to help with getting your documentation, finding a plumber or technician, dealing with noisy neighbors or simply getting local tips on dining and getting around. She carefully chooses clean and comfortable places all around town that are ready to move in to. Houses are complete with bed linens and bath towels, kitchenware, cleaning products, refrigerator, washing machine and iron, vacuum cleaner, hair dryer, TV, and Wi-Fi. In order to keep the house clean and safe, there is no smoking nor pets. How can I rent an apartment in Milan from abroad? The best thing to do is to get in touch with a colleague or a fellow student already in Milan and ask them to go and take a look for you. It may cost you a nice dinner but it will be well worth it! Reliable agencies will send you both their own amateur photos as well as professional ones so you can get a really good look at the place. It’s also a good idea to ask for some photos of the neighborhood. You can do Virtual Apartment Tours with 360 degree interactive pictures on the Rental Milan website. Check out the Rental Milan YouTube channel with video walk-throughs of apartments for rent in Milan. Trying to rent a flat in Milan from across the world can be unsettling but being a little prepared in advance is always valuable. I hope these tips have been useful. Feel free to contact me with the form below for more information. Wishing you all the best on your search for a new home in Milan!